All that work, wasted!! But then inspiration struck. I got a marker and added one beautiful word. Now it said “Happy Birthday Jesus”. Just kidding, that’s an old stand-up comedy joke. I’m not even that fancy; my go-to for wrapping paper (for all occasions) is brown paper bags from the grocery store, cut out and wrapped inside-out around the gift so only the plain brown interior shows. But what if you want to take your gift to the next level with something fun, pretty, unique, and creative? Have no fear, I didn’t create any of these tutorials; rather, I thoroughly checked them out and made sure that even I could pull off most of these easily enough. 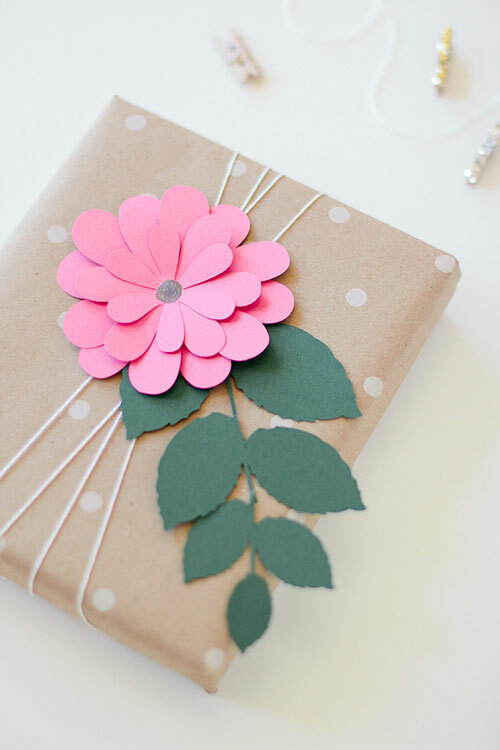 So here are 37 amazingly creative DIY gift wrap tutorials that will make your gift shine. Please note that this post contains affiliate links, in which I would receive a commission if you choose to purchase something on my recommendation. Ridonculously cute. And easy! From Let’s Wrap Stuff, this DIY gift wrap tutorial shows you how to get the yarn perfectly in place. Hint: It’s the Dot Runner. Via Vixy Blu, this cute dandelion wrapping paper idea requires just a brown paper bag, sticky notes (I would go with this earthy set of green, yellow, and tan colored Post-Its), and a black Sharpie. 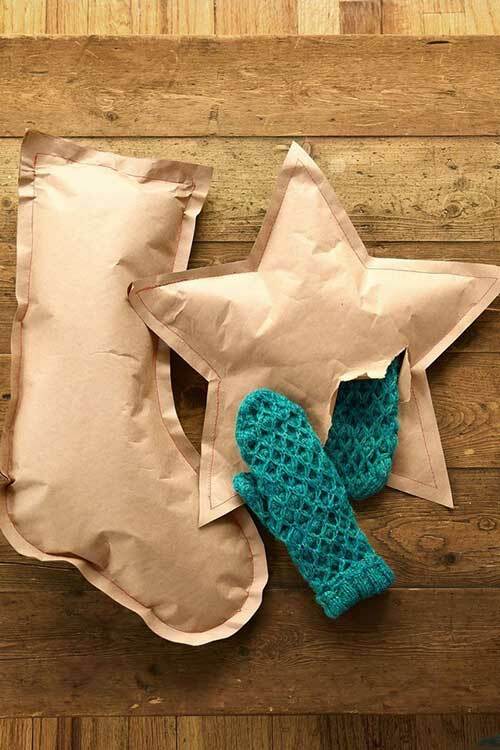 If you have basic cutting and sewing skills, this creative Christmas wrapping paper DIY will be a breeze. All you need is a roll of brown craft paper and some thread. Fold the craft paper over so it makes two layers, then cut out both layers into the desired shape. Sew the two halves most of the way together, slide in the gift, then sew it the rest of the way. Attach this ridiculously adorbs puppy to any gift and you will have an instant winner. They recipient will enjoy playing with the pull & lift puppy ears long before (and after) the actual present gets opened. See the tutorial over at Mmm Crafts. 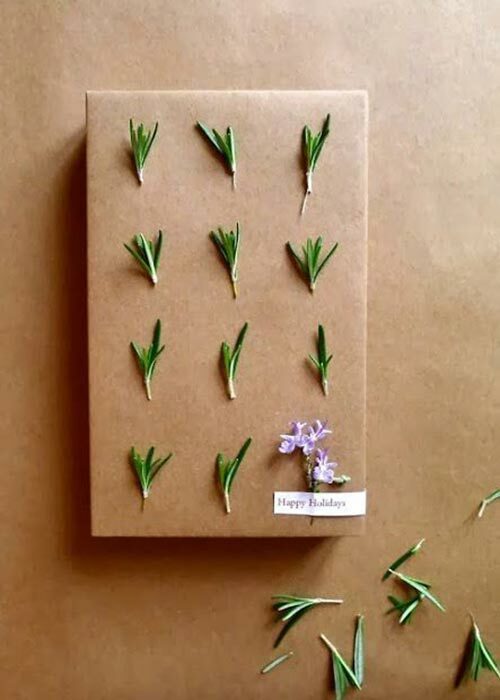 Inspired by Anastasia Marie, this minimalist birthday wrapping paper idea is beyond simple. 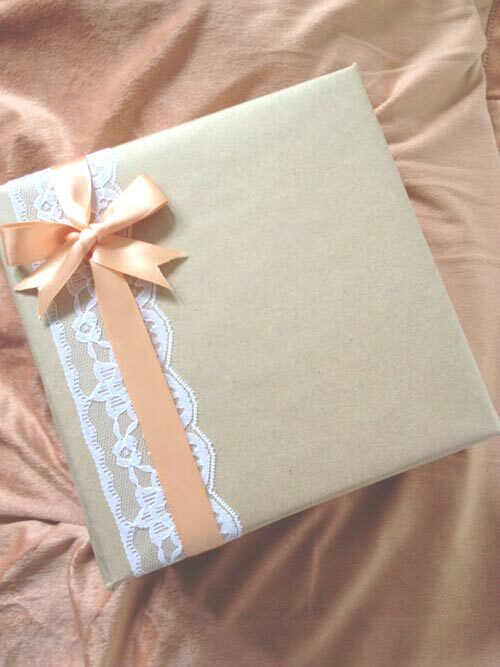 Wrap your gift in brown craft paper. 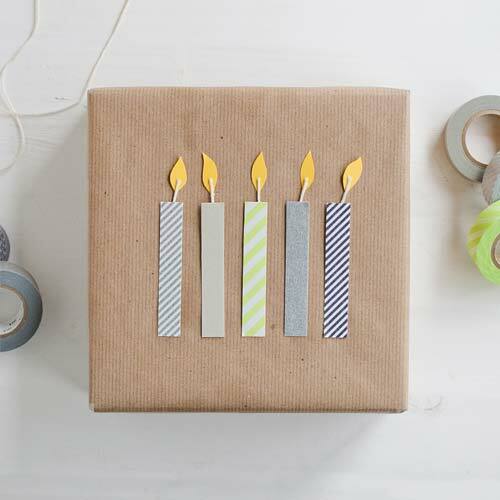 Cut out your rectangular candle shapes from regular ‘ol paper, and cover them with some fun Washi tape, trimming off any overhanging bits. Cut out the flames from yellow paper and the wicks from any scrap of string or twine. Glue the flames down first in an even line across the gift, then glue the string “wicks” on top, and lastly glue on the Washi-taped candles. This easy gift wrap DIY from The Crafted Life can help you save big on wrapping paper costs. 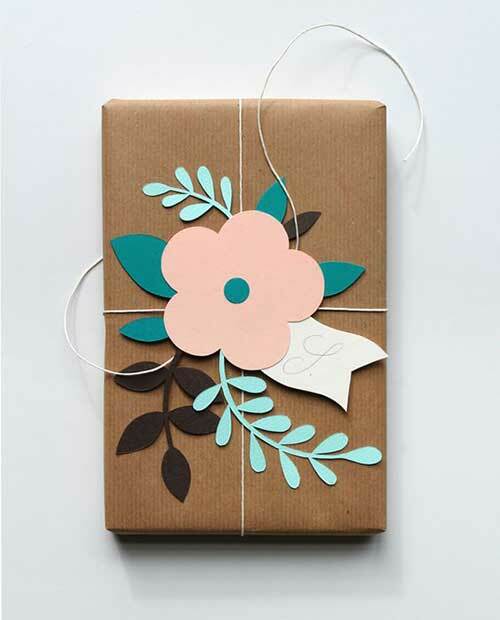 Once you assemble the basics, all you need is a brown paper bag from the grocery store and you can wrap any small to mid-sized gift in a creative and personalized way. Once you have the alphabet stamp set, ink pad, and some yarn (you can get everything for under $25) all you need is a brown paper sack from a grocery store and you have unlimited, free, and easy wrapping paper any time you need it. 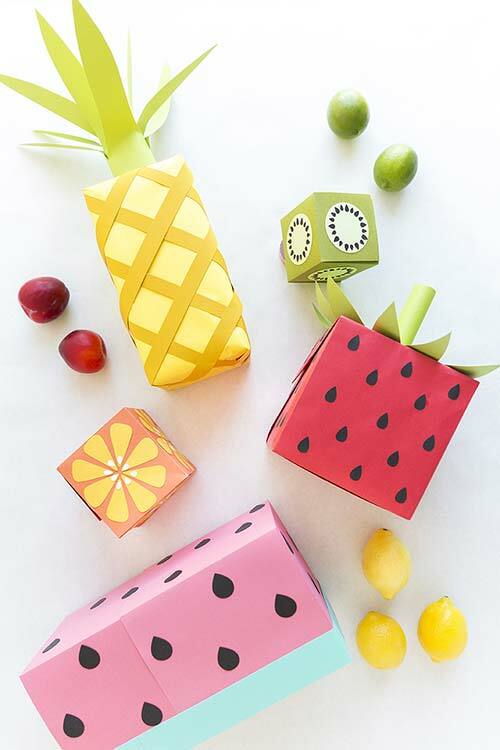 This easy and fun gift wrapping tutorial from user Kimbles on Craftster is a must-do! While the tutorial shows a matchbook, this is simple enough to replicate in gift-size wrapping. 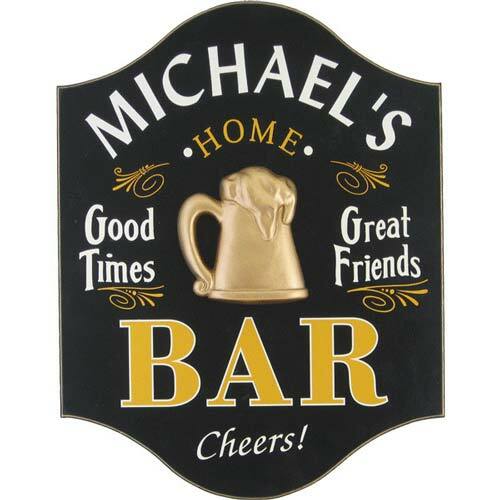 Perfect for any travel-related gifts, such as a booking confirmation, an actual suitcase, or this personalized World Traveler vintage sign. 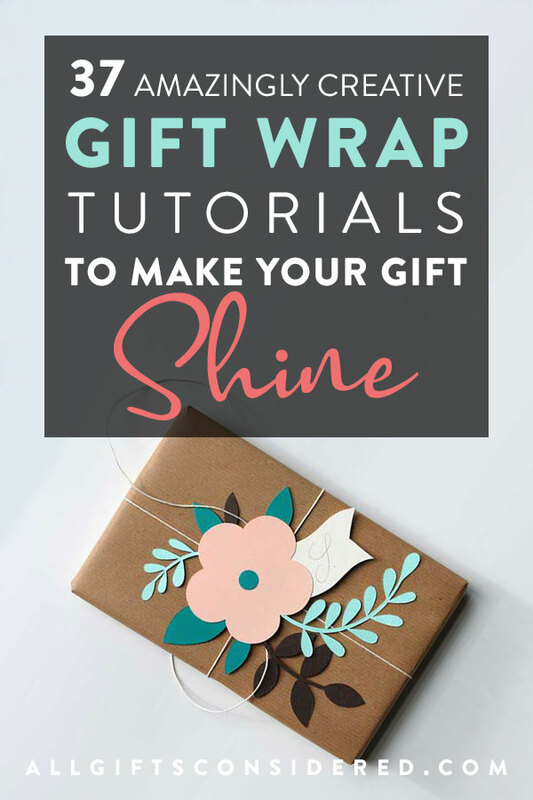 This isn’t so much a tutorial as a “hey, look, what a great idea!” Just pull out your old atlas, a map buried in the glove box, or find something at a thrift store and use it to wrap your gift. Tie it off with a little box or some twine and you have another wonderfully creative travel gift wrap idea. 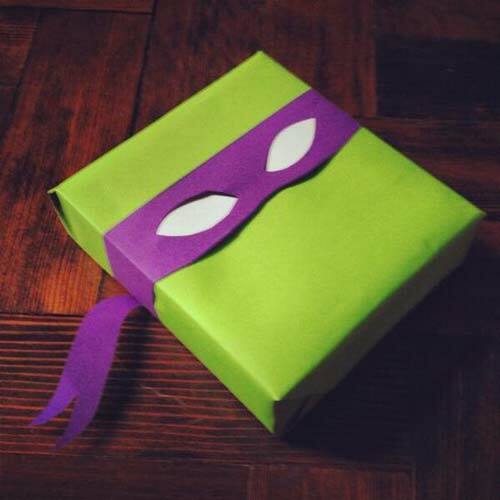 For TMNT fans, use lime green gift wrap and a strip of colorful paper to make your favorite Teenage Mutant Ninja Turtle character! I wasn’t able to find the original tutorial, but this seems easy enough to reproduce. This lovely little tutorial from Unify Handmade transforms a paper lunch sack into something truly wonderful. 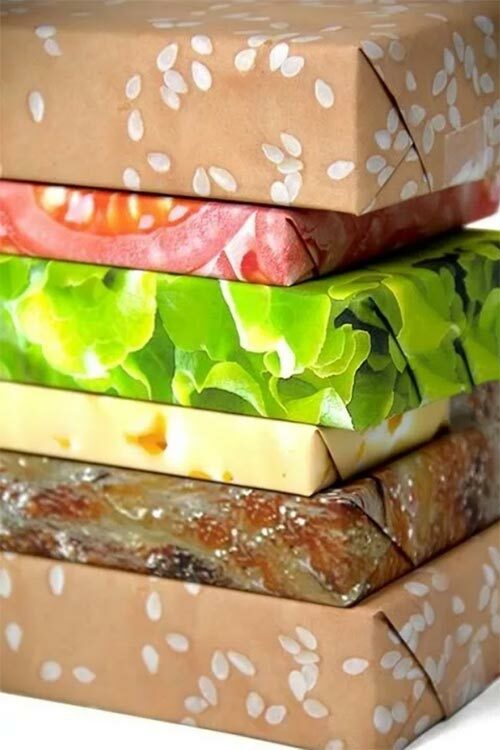 This is one of the more brilliant DIY wrapping paper ideas. 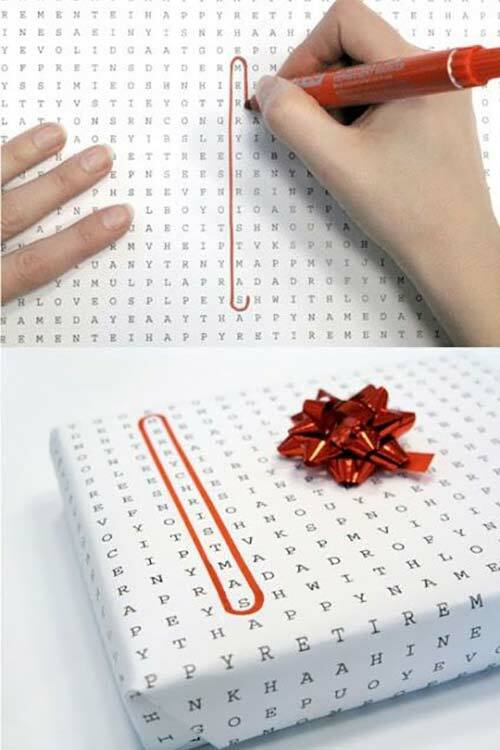 Use this word search generator to make your own wrapping paper filled with hidden surprises! Add words like “Happy Birthday” or “Merry Christmas” plus the person’s name, or perhaps give clues about the gift inside. 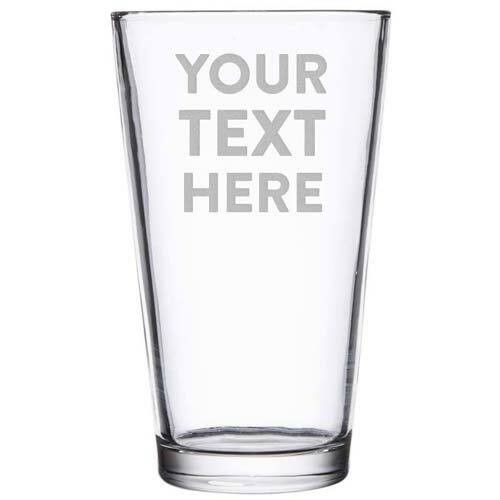 Print it out, wrap it around your gift, and boom! You’re done. 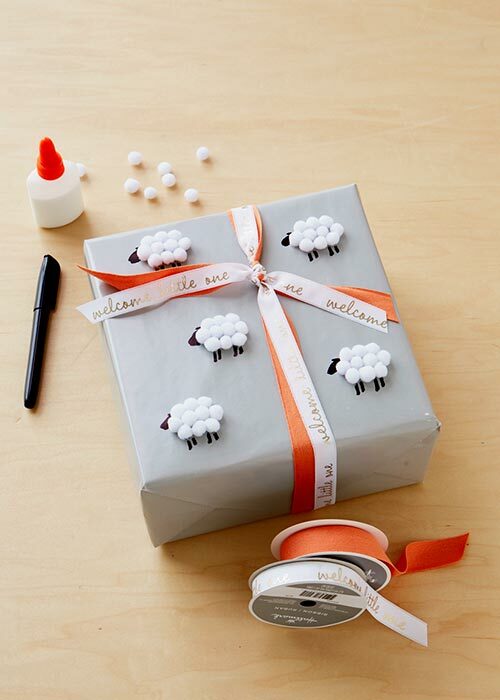 From Hallmark’s Think, Make, Share blog, this little lambie wrap is easy and adorable. Wrap in gray paper, surround with ribbon, and glue tiny white cotton pom poms in clusters shaped like sheep. In this example, rows of 3, 4, then 3 work perfectly. Use a black marker to add the head and feet. 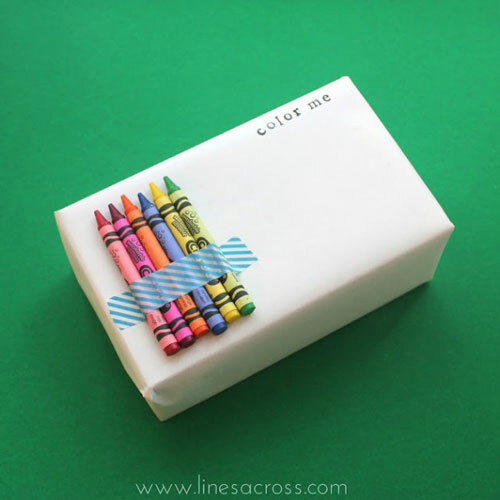 If you have a stack of small rectangular or square gifts (like a personalized coaster set) then this is a simple DIY. 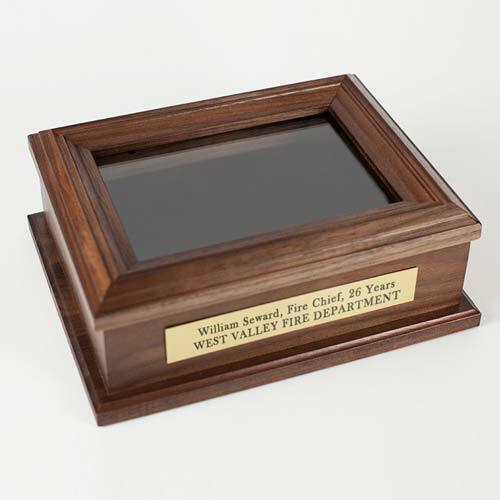 It may not look as good as the photo (which is a discontinued product), but there are two ways you can fairly easily achieve the same effect: Print or draw. First, you can print out each image on your home printer. Do a search for “sesame bun pattern,” “lettuce,” “juicy hamburger,” etc. With each image you will probably need to fiddle with your printer settings to get it to print full-page, but it’s doable. Then use the paper to wrap your smallish gift. Tip: If the paper doesn’t fit all the way around, print multiples and tape them together. You really only need the top one to look nice, as the rest only show the sides. And even if it isn’t perfect you can add a strategic ribbon or bow. Second, use plain paper or a roll of white paper and draw your own. Use your art skillz and add your own flair to it. 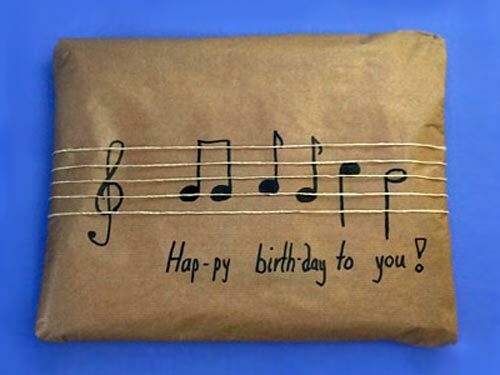 Wrap your gift in plain paper, mark out the notes as shown above, and add five rubber bands. Boom! Happy birthday song. Original tutorial here. Here is an example purely for inspiration. Use an earthy-brown-toned wrapping paper and whatever fresh foliage you have on hand. An orderly pattern broken by one special spot of color works wonders. This one uses rosemary and a sprig of purple blossoms to create a natural holiday wrap. This fun tutorial from Mr. Printables is one of the easiest DIYs yet, but also one with great flair! Just use white wrapping paper (or brown, for brown bears) and color the flaps like you see in the picture above. Cut out little bear paws & claws and tape them on to the front and back or sides. Presto! 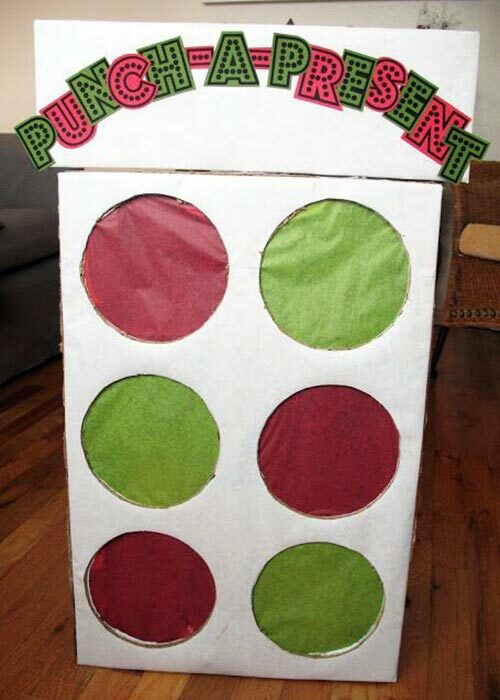 Why not turn your gift wrap into a game? Taking a queue from the type of fun activities featured in carnivals and game shows, The Craft Patch created a DIY gift wrap tutorial that turns opening gifts into an event. Cut circular holes in the cardboard box for the number of gifts. Make sure that the gifts will fit through the holes! Then, on the inside, tape colorful tissue paper over the holes. Next, create a grid that the gifts can rest on with your extra cardboard; one vertical piece the height of the box, then two horizontal pieces cut to the width of the box. Notch each piece so they can slide together, insert into the box and tape on to the sides for support. Place your gifts inside, close the box, and get ready for fun! 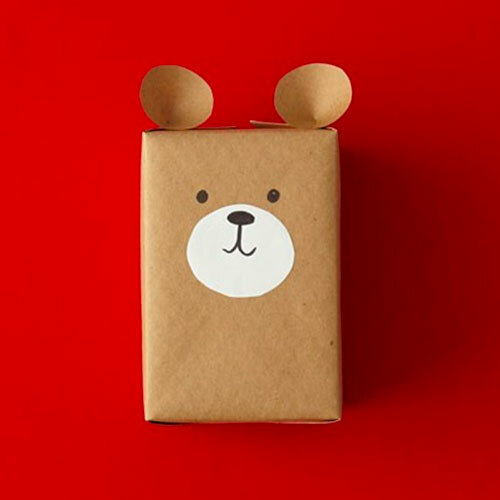 Here’s another easy bear that just takes some brown wrapping paper and a few accents. After wrapping your gift, cut two half-circles from your brown paper. Fold these into cones and tape onto the top for ears. Cut your white scrap paper into a circle for the muzzle. Lastly, use the marker to draw eyes and a nose. 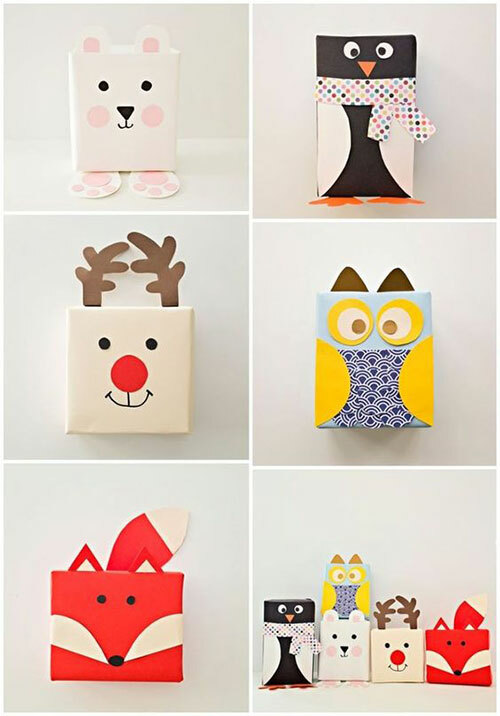 Over at JoAnn Fabric’s blog you’ll find gift wrap tutorials for these five cuddly creatures. 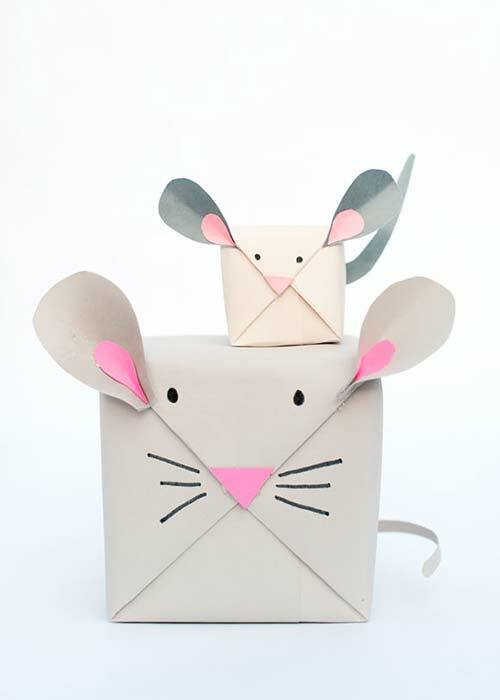 From Handmade Charlotte, this adorable mouse wrap tutorial takes advantage of those folded end flaps. Super cute and only requires a few basic craft items you probably already have. From Studio DIY, this tutorial is a bit ridiculous. 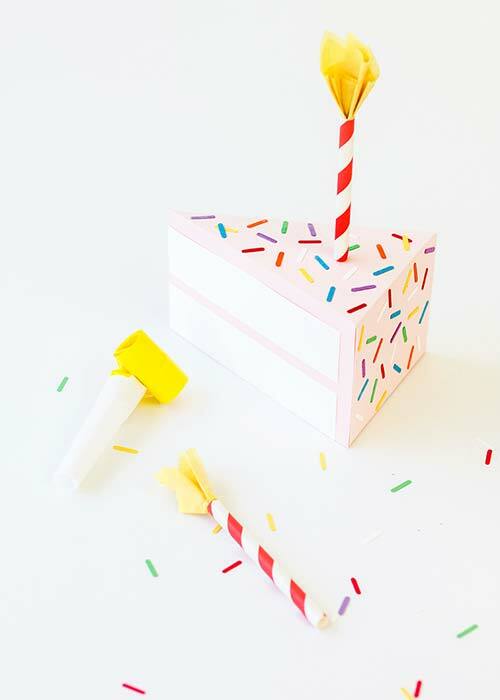 You’ll need a Cricut machine to do all the cuts, but this birthday cake slice gift box makes it worth it all by itself. Simple, easy, and cute as all heck. 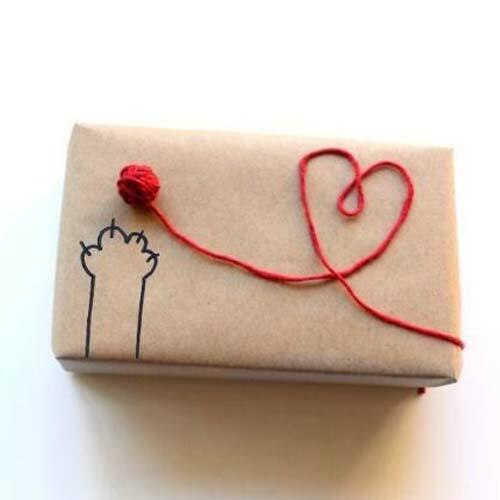 From LetsWrapStuff.com, where you’ll find plenty more gift wrap ideas. 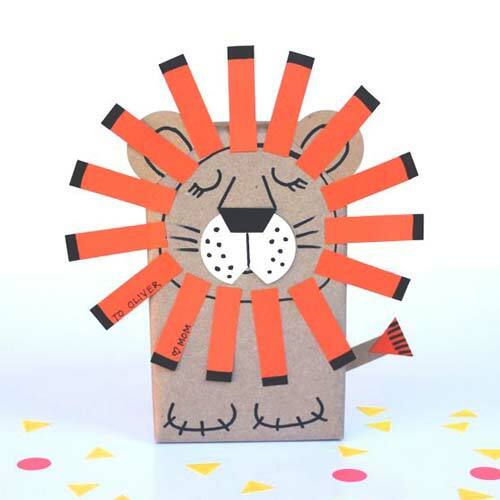 But this one is easy enough – wrap your gift in brown or yellow paper, draw in the lion with black marker, and add the white and orange paper accents (muzzle, mane, and tail). This tutorial (complete with templates!) from The House That Lars Built includes instructions for watermelon, pineapple, strawberry, grapefruit, and kiwi. 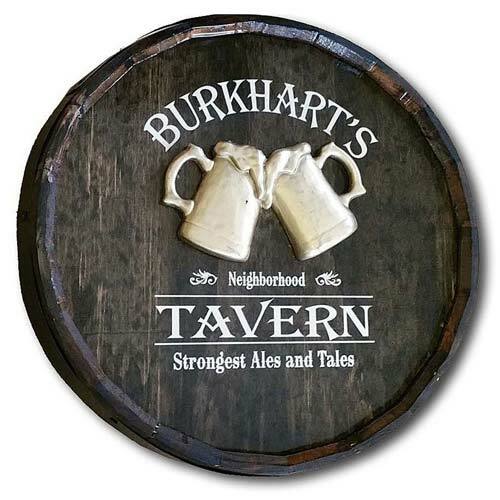 Deliciously fun. From Yahoo Makers comes this celebratory tutorial on how to make your own DIY confetti wrap. 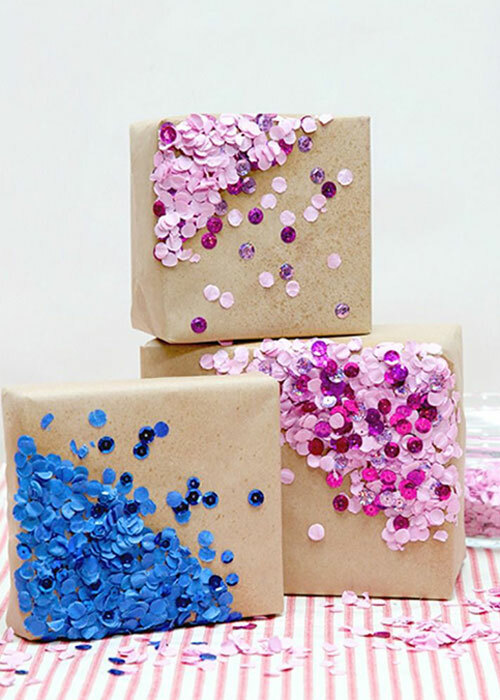 It is super-simple, just wrap your gift in classic brown wrapping paper, spray with adhesive, and add confetti and sequins. A true winner! Ok so this isn’t a tutorial, it’s actually a birthday card you can order here on Etsy. But it looks easy enough to do. 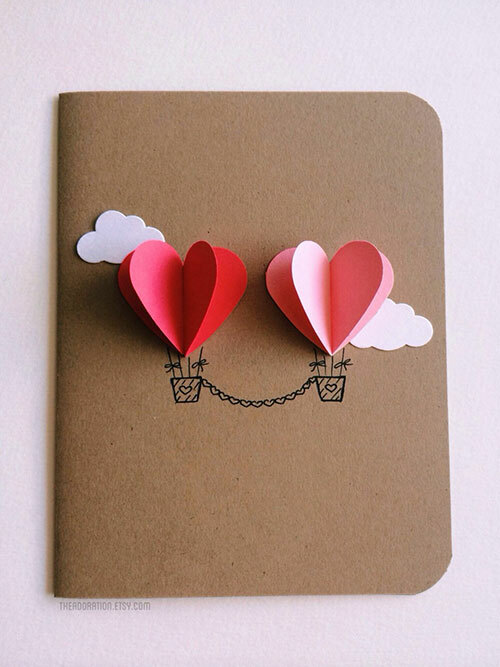 Just wrap your gift in brown paper (or blue for a “sky” effect), cut out two clouds from card stock, then cut two red hearts and two pink hearts. Fold each heart in half to crease and glue them edge-to-edge. Draw the baskets as shown. Viola! You now have your own balloon hearts gift wrap scene. 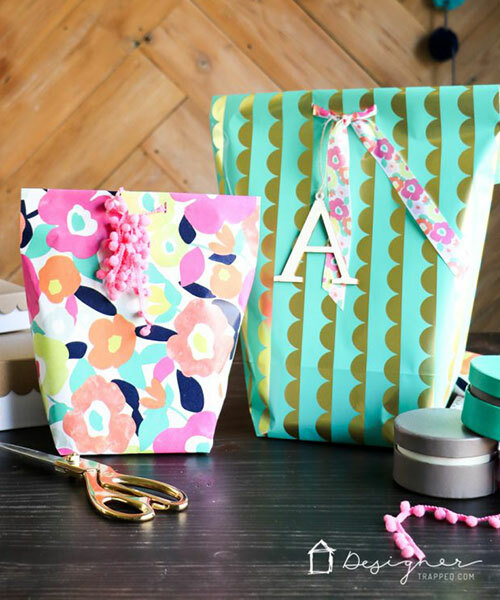 You’ll find this gift wrap tutorial from Anastasia Marie provides that perfect bit of “pop” for your present, plus you can easily swap out bloom colors for different seasons and personalities. This holiday gift wrap idea popped up on Pinterest, and I couldn’t trace it back to the original tutorial. But the idea is simple enough. Cut out some old newspaper or magazine clippings into circles. Paste on to your gift, draw on the hooks and hangers, and glue some fresh evergreens (steal them from your Christmas tree) across the top. 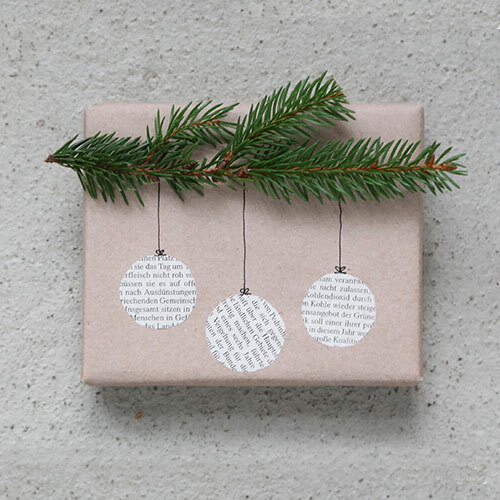 Use this brilliantly simple idea from Lines Across and the recipient will probably remember the gift wrap more than the gift itself. Which is fine! 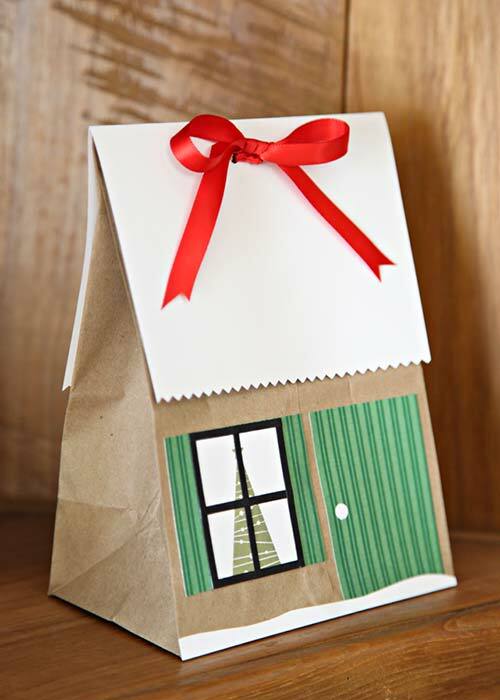 Designer Trapped has an easy-to-follow tutorial on how to make gift bags from wrapping paper. 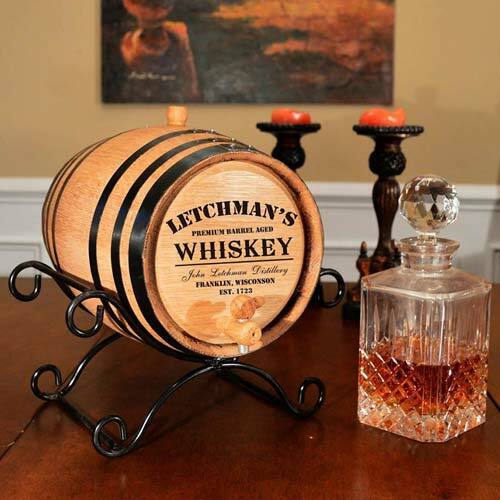 This is a great way to wrap those funky-shaped gifts with a bit of elegance. 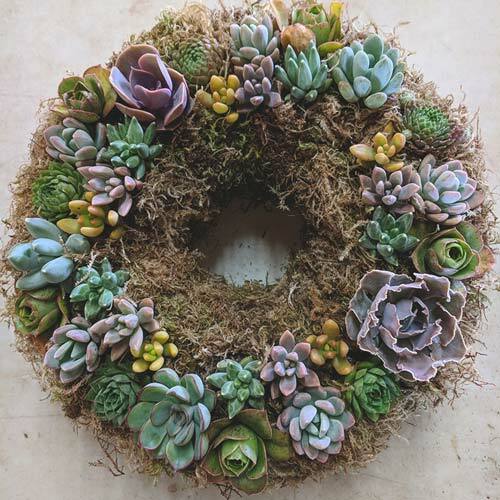 Growing Spaces created this crafty idea, and it’s a good one. 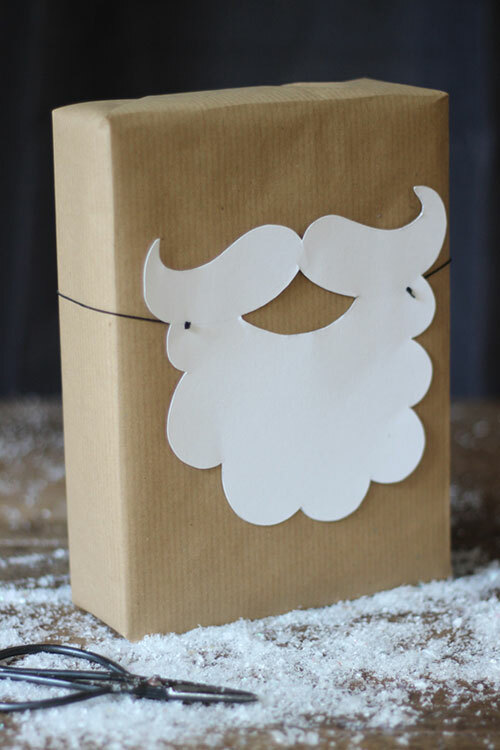 Cut out a Santa beard, tie elastic string onto it, and put it around your gift. 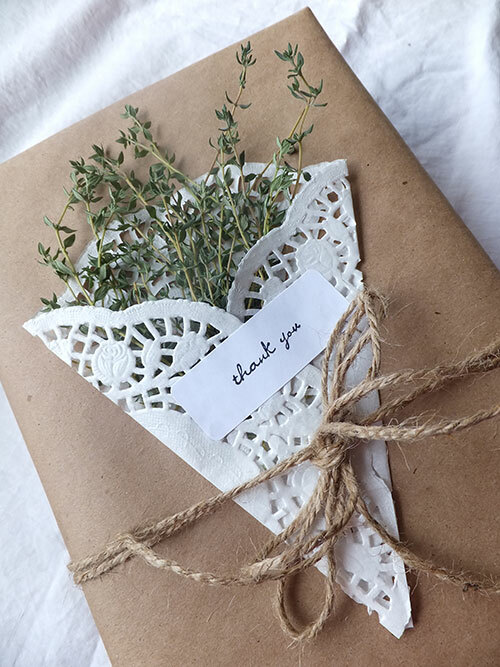 Simple, earthy, and natural, who knew that a wrapped gift could look so beautiful with just twine, paper doilies, and herbs? From Blue Purple and Scarlett we have eight delightful examples of this style. Use herbs or foliage you find in your garden, wrap them in paper doilies, and secure it all with some twine. 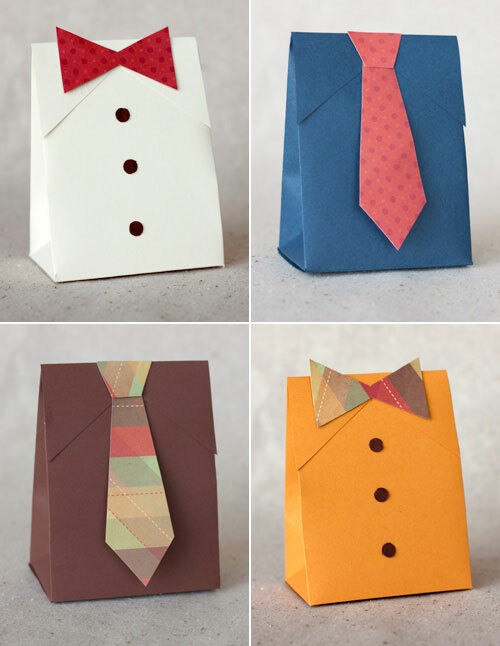 Paper Crave has put together these brilliant tutorials, complete with templates, for paper gift bags shaped like shirts with ties and bow ties. 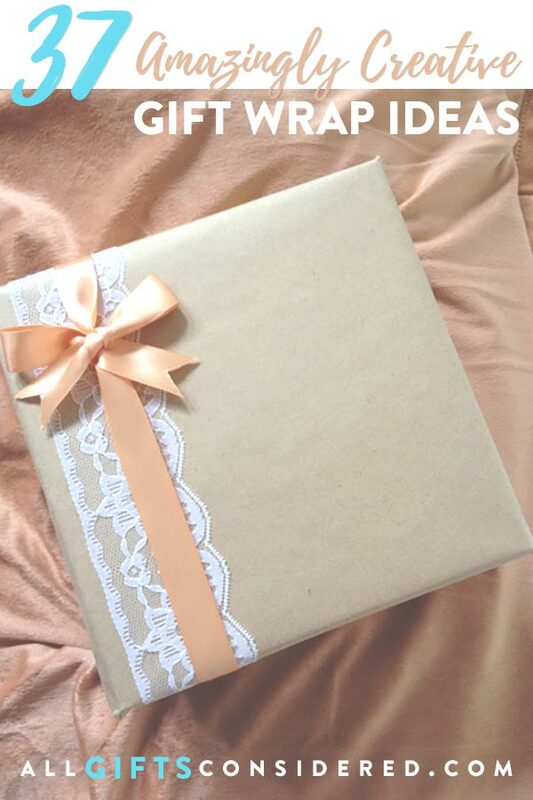 Bowdabra made this exquisite tutorial so that you can class up your gift wrap. It takes a bit of doing and a few craft supplies, but once you have it all together it will be the showstopper gift wrap for any occasion. They require a bunch of branded materials, but you can figure out much easier ways of making a tuxedo. 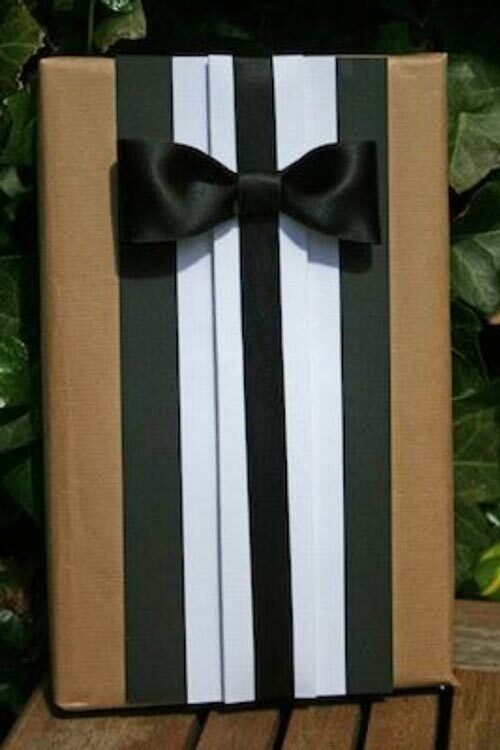 Layer on card stock, glue a ribbon and bow, and boom. Done. 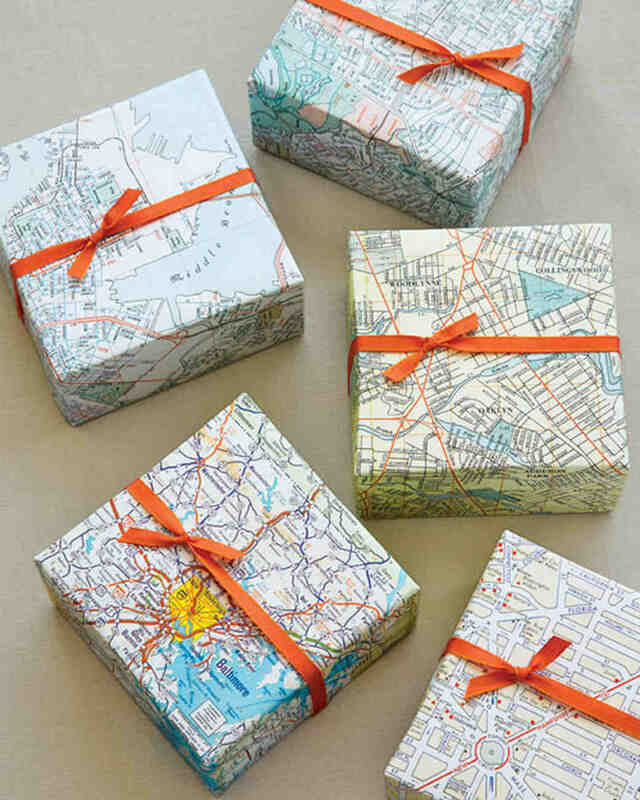 Find and use an old map or atlas to wrap a small gift. Add a tag and cut out a map scrap in the travel mode of choice: Plane, train, automobile, cruise ship, you get the idea. 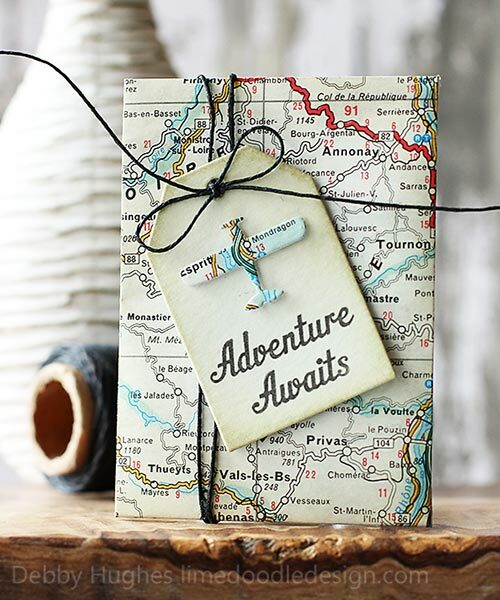 From Lime Doodle Design, reminding you that adventure awaits! 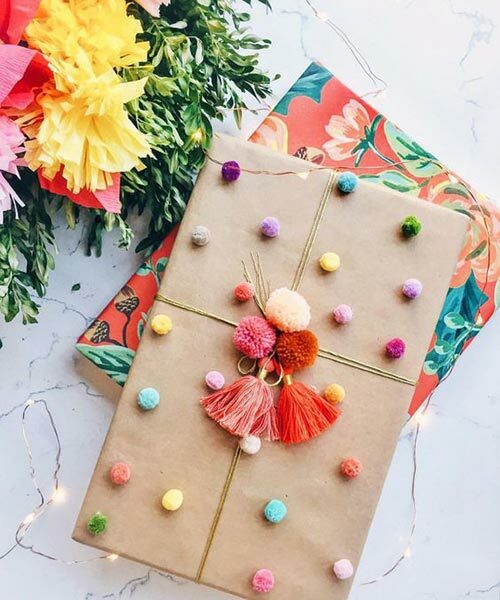 From Instagram account @honestlywft, this adorably fun gift decoration just requires pom poms, tassels, and your artistic spirit. Elegance is often shown best in understated simplicity. This lovely example from Tonka Violet uses earthy brown wrap with a strip of lace and a solid colored ribbon. Perfection! 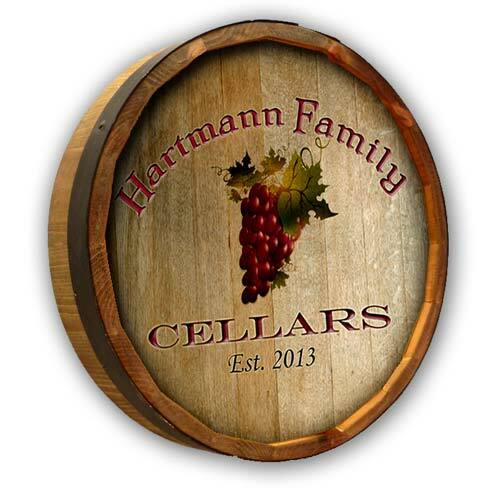 Looking for Gifts to Wrap?